Here in America, many people believe in sports-related folkloristic superstition. Unlike folklore in the old country, belief is widespread and not limited to elderly rural populations. One notable memorat of folk belief is the curse levied against the Chicago Cubs baseball team. According to popular legend, a man was expelled from Wrigley Field during the 1945 World Series because the odor of his pet goat was bothering people around him. The disgruntled man proclaimed that the Cubs would never again win the World Series—or at least not win until the world was ending. They do not want to believe in superstition, but they cannot help themselves. 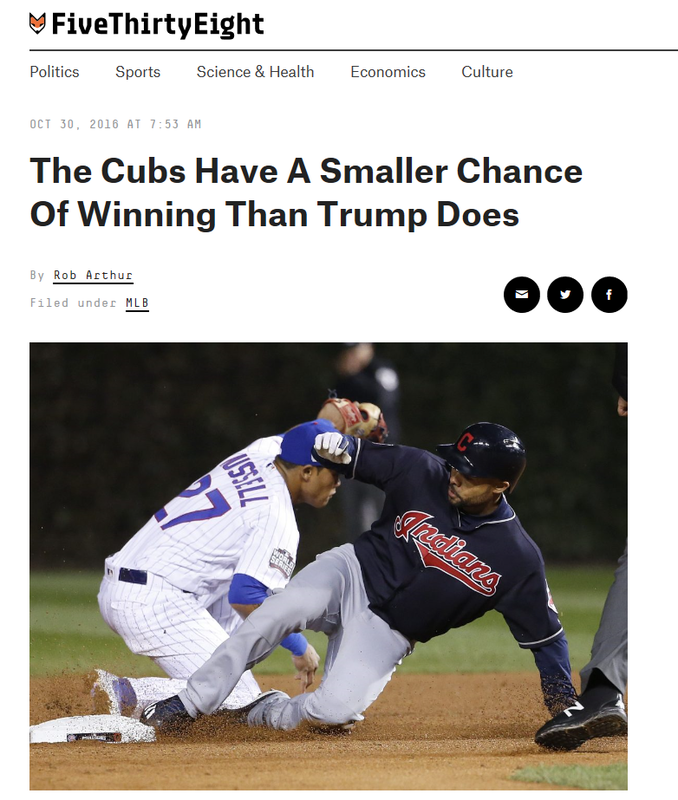 FiveThirtyEight is a data-journalism newsroom run by America’s foremost elections shaman, Nate Silver.